Types of flowers in the rainforest canopy. 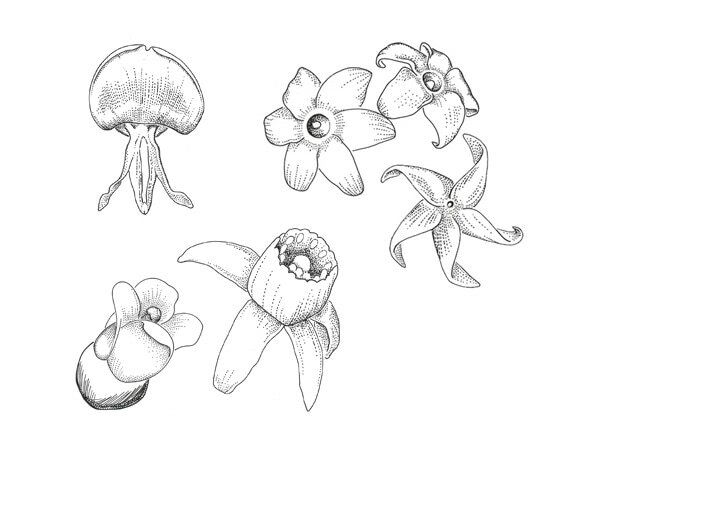 Illustrations of 19 rainforest canopy flowers, from supplied reference photographs, and microscope. Boulter SL. 2011. Variation in pollination systems of Australian subtropical rainforests: the implications for climate change. Griffith University, Griffith School of Environment (dissertation thesis).